Sharpening your dull knives: You know you need to do it and that it'll make a big difference when you're prepping ingredients to cook, but you, like many other home cooks, keep putting it off. Knifey is a knife sharpening and exchange subscription service that takes care of this confusing, time-consuming, or expensive household chore for you. From $5.99 to $18.99 a month, you can enjoy the durability and sharpness of professional-grade knives without dealing with the upkeep. A dull knife is the bane of every home cook's existence. Less-than-sharp knives cause a lot of frustration, yet if you looked in your drawer right now, you'd probably find more than a couple knives in desperate need of sharpening. When Cully Wiginton, the founder of a new knife sharpening and exchange subscription service called Knifey, dug into why people were holding onto their underperforming kitchen tools, he learned that most home sharpening solutions didn't stack up to the skills of a sharpening expert, and it's inconvenient to drop off knives with said specialist. Plus - and I suspect this is the case for many home cooks - it's easy to keep putting off the chore of sharpening your knives in favor of the other errands on your long list of to-dos. Sharpening a knife isn't necessarily hard, but taking the time to do it and doing a quality job is. Wiginton says, "I wanted to find a way to make it incredibly easy to always have a sharp set of knives, and to have a professional-level set of knives without having to pay hundreds of dollars upfront. The Knifey service solves both of these problems." 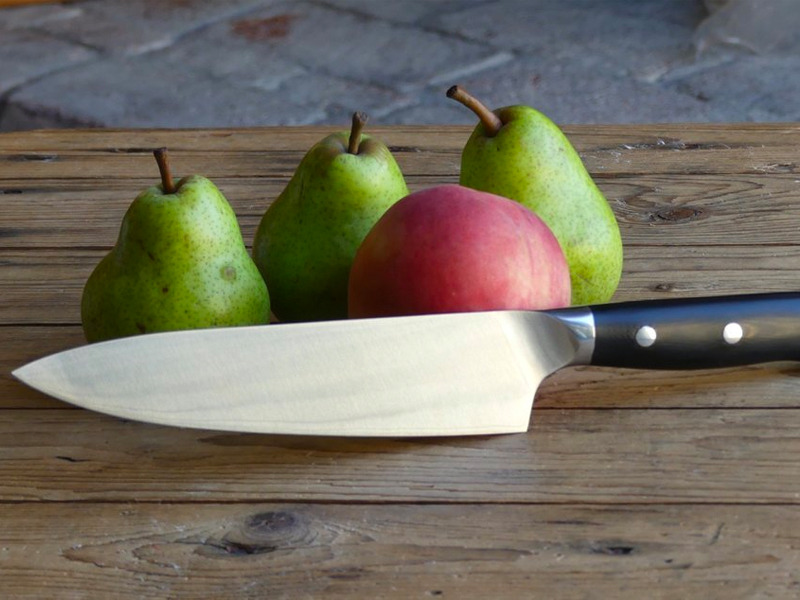 With Knifey, you'll always have the sharpest knives at your disposal. The service sends a fresh set of knives at a frequency you choose, then you send back your old ones in the same box. This design means you're not left knife-less as you wait for your knives to be sharpened, and with monthly payments, you don't have to pay hundreds of dollars upfront for a knife set. It's also commitment-free - you can cancel your subscription at any time. Not only does Knifey improve your knife quality, and relatedly, your cooking skills, it also helps underprivileged students gain a kitchen education. In partnership with an organization that helps students obtain jobs in the culinary arts, it provides knife sets to the top graduating students in each class. Read on to learn more about how Knifey works and what to expect from this innovative service. You can visit its website to get started and receive your first set of knives. First, you have a couple decisions to make. 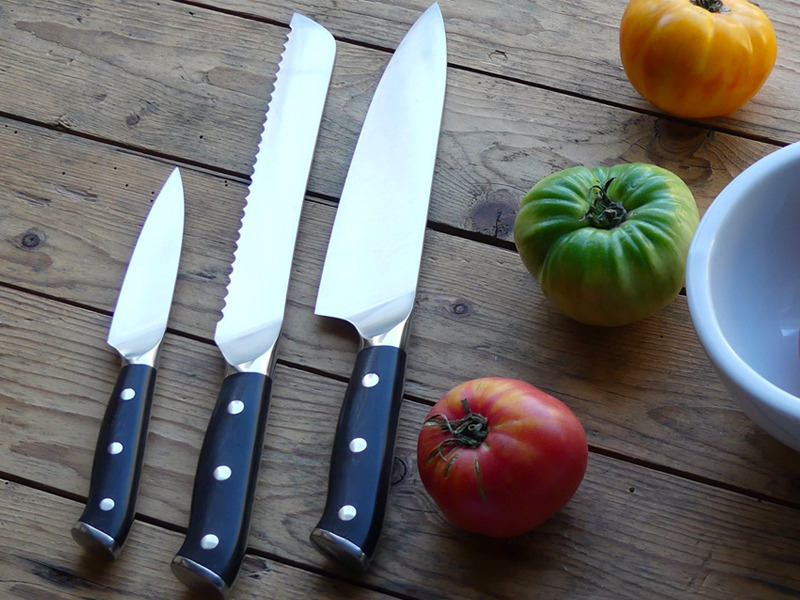 Which knife set you want, and how often do you want your knives to be sharpened? The sharpening frequency you choose depends on how often you cook and use your knives. You can get a new set once, twice, or three times a year. You'll pay anywhere from $5.99 to $18.99 a month for the service. These plans include sharpening and shipping costs. Since you're not permanently keeping the same set of knives, it also serves as a "rental" fee. Knifey sent me its 5 Knife Deluxe Set, which arrived safely and securely packed. The knives are made from German, high-carbon steel, translating to high durability, razor sharpness, and resistance to corrosion. Cutting smoothly through ripe tomatoes and hard squashes alike, they proved to be sharp and tough enough for the whole range of prepping tasks. They're not extremely heavy, but still have a not unsubstantial weight to them and are comfortable to grip. Use your new, sharp knives until the time comes to exchange them. I received my first set of knives in June 2018, and exchanged them five months later. After consistent use in my kitchen, they were in need for a refresh. Your next set of newly sharpened knives comes with a return shipping label. Simply switch out your old knives and ship them back to Knifey. The process was easy and pain-free. I took out the new, sharp knives, placed my old ones back in the box, and sent them off to Knifey. I didn't have to spend any time and money learning how to sharpen them myself or physically bringing them to a professional, and the ultimate result was the same: a razor-sharp kitchen essential.